For those of you who have not ‘played’ on Tinder, let me give you an insight on how this marvelous App works. Once downloaded, you create a profile that should sound appealing enough for the average male brain. You are allowed to pick the gender, age limit and proximity of the people you wish to meet (GPS finally makes sense now). If the person who appears on the screens seems formidable, you simply swipe ‘left’, and if one was impressed, you simply swiped ‘right’. By chance if the person you ‘liked’ has viewed your profile and ‘liked’ you in return, it says that there’s a match and you can begin a conversation. For those of you who think a woman shouldn’t stoop too low, please find a ‘siri-siri’ bag, cover your head and die. Interestingly enough, there are oodles of poodles, if I may! 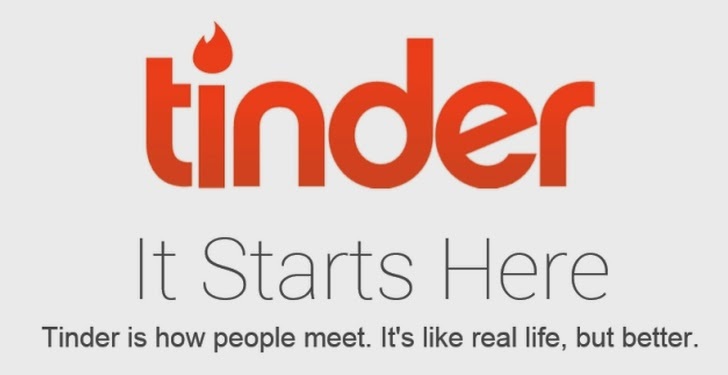 From teeny boppers to fathers, and jaded have-beens, Tinder has got it all! I decided today that I will wade through the ‘poodles’ and classify them as a general act of community service; this act of classification will enable women to make better choices, albeit based looking at the screen of their smart phone. Tinder seems to be a popular thing amongst the rugby community; my forefinger ached to swipe right at the mere sight of jersey-clad testosterone-d figures grace my screen in action mode. It’s no wonder; the boys obviously play on-field as well as off-field equally well. Let’s just say a lot of screen shots went down for later reference. These are the guys who use celebrity images as their profile pictures. Swipe LEFT. The C&C is usually seen locked in a sweet embrace with their girlfriends/wives/partners and yet have the gall to use their wedding pictures as their profile pictures. If I was the wife of the said Tinderer and I happen to stumble upon this profile, I will be performing a small surgery in his nether regions, sans the anesthesia. Some men and their careers, I tell you. The number of profiles with profile pictures of their pilot uniform is insane. My observations are that one in three profiles contains a selfie with an elephant, squirrel or tree in the background. It’s nice that people care about these things – but using it as means of luring your next ‘prey’ is questionable. We all know that a lot of alteration went down with Bieber’s shoot for Calvin Klein, and looking at this type you want to believe in unicorns, diamonds rings that dispense cupcakes, and mermaids. These divine beings and their lithe bodies, makes you want to study grade 09 biology all over again with more interest. Type 10 – The Groupie. This is the smart aleck; he poses with a group of good looking friends so you really wouldn’t know whom you are swiping right for. He may be the least good looking, and if you’re like me you recite their name over aloud and pin it on someone who might fit the name. 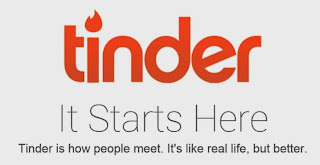 So, there you have it – ten types of guys on Tinder! Sometimes I just scroll through for amusement – the names, the profile pictures; it’s fun. These are only a handful you encounter, and there’s much more within the Tinder community. Makes you feel thankful that you are not coupling with any of them – teeheehee!